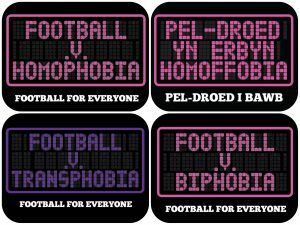 Cardiff Dragons FC dedicated two matches during February to the 2016 Football v Homophobia, Biphobia and Transphobia campaign. 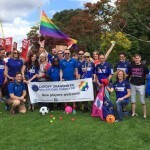 The ‘month of action’ saw Welsh clubs from all levels of the game joining forces to show their support, and as Wales’ only LGBTI+ club, the Dragons played a prominent role. 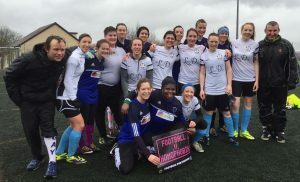 Having newly entered the Bristol Women’s Casual League and the Men’s Lazarou Cardiff Sunday League this season, our teams from both competitions seized the opportunity to celebrate their participation by helping to spread awareness of the campaign, highlight the issues it raises, and to extend its reach via social media. 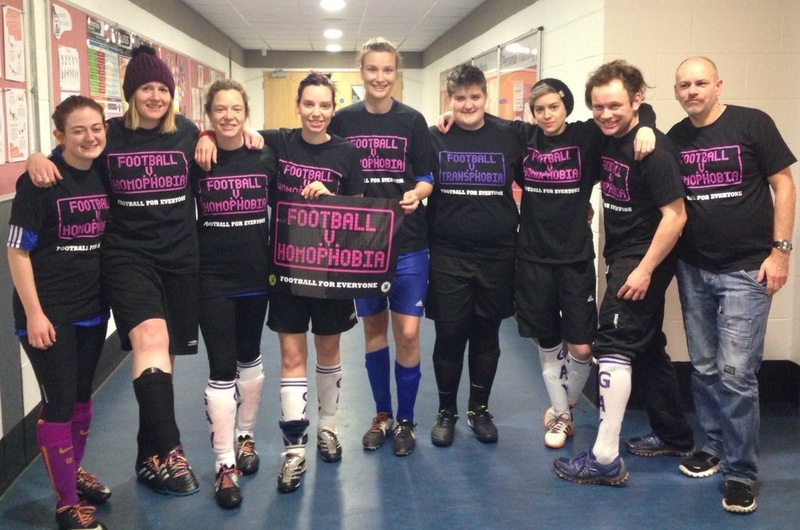 The first match was on 6th February in the Bristol Women’s Casual League. The opposing team and our lovely referee Bob were invited to join us for the team photo, and willingly endured the awful weather a little longer to demonstrate their solidarity. 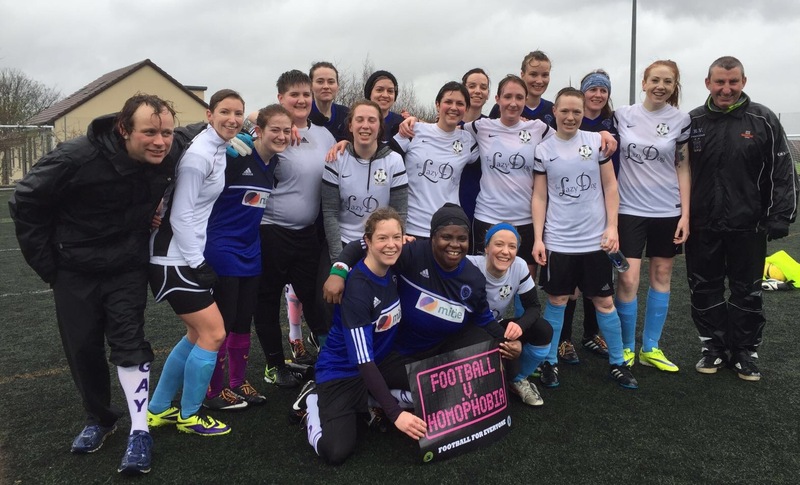 The second was on 21st February, when Sunday League rivals Cardiff Social FC were more than happy to pose with the Dragons squad by the campaign banner. As a consequence of the publicity generated, the Lazarou League will dedicate all matches on a specified date in March to the campaign. In addition to our Facebook and Twitter posts which received widespread support and coverage, the Dragons got two mentions in Wales Online during the month; click on the links below to read more. 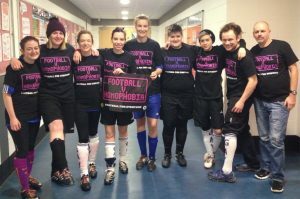 Cardiff City FC also kindly invited members of the club to the Championship match supporting Kick It Out and Football v Homophobia on the 20th February—which was obviously an inspirational presence as the Bluebirds achieved their biggest victory of the season, an impressive 4-0 defeat of high-flying Brighton and Hove Albion! 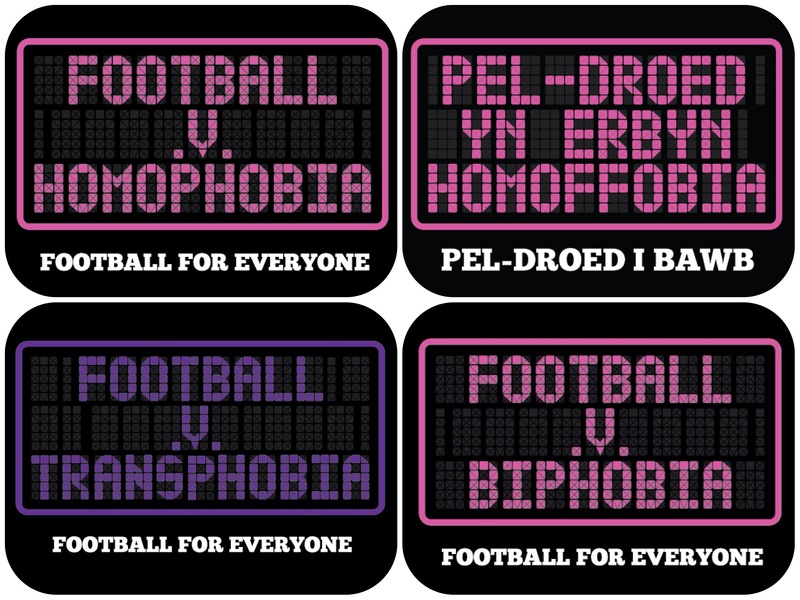 A reminder and reinforcement of the year-round importance of the existence of Cardiff Dragons FC in breaking down barriers and prejudices within the sport—in the city, in South Wales, and beyond; thanks to all involved for helping to make it a great year for the FvH campaign!